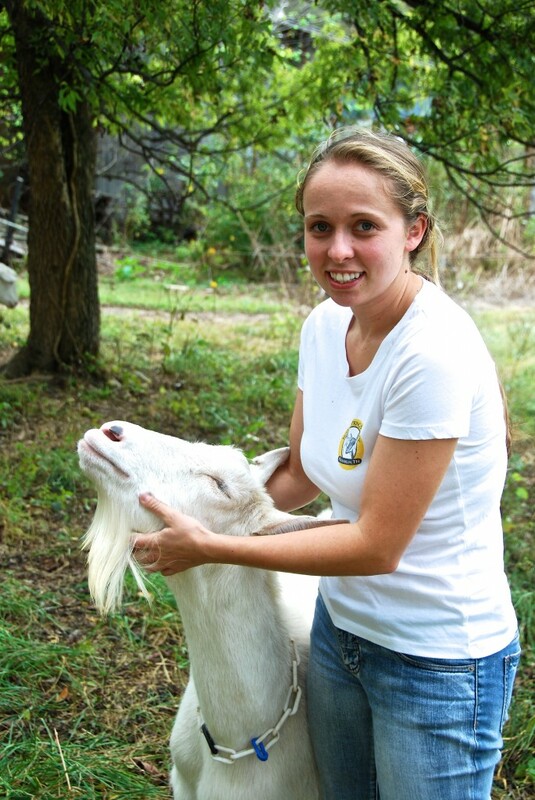 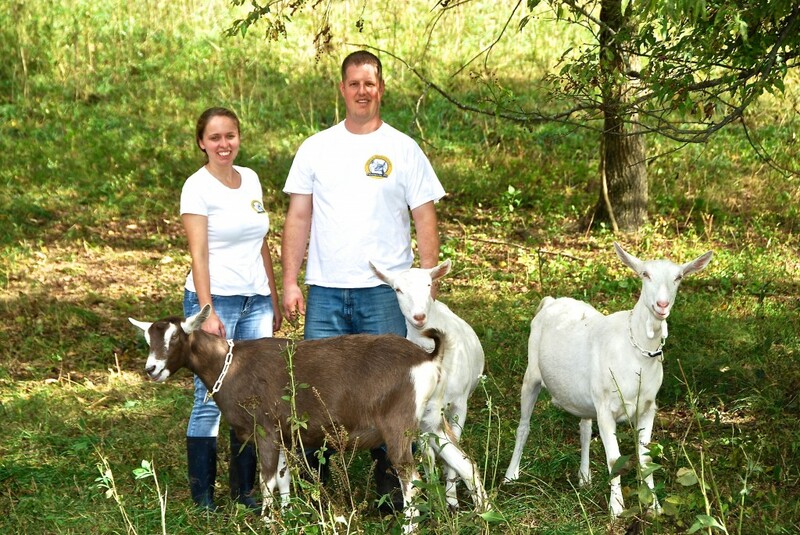 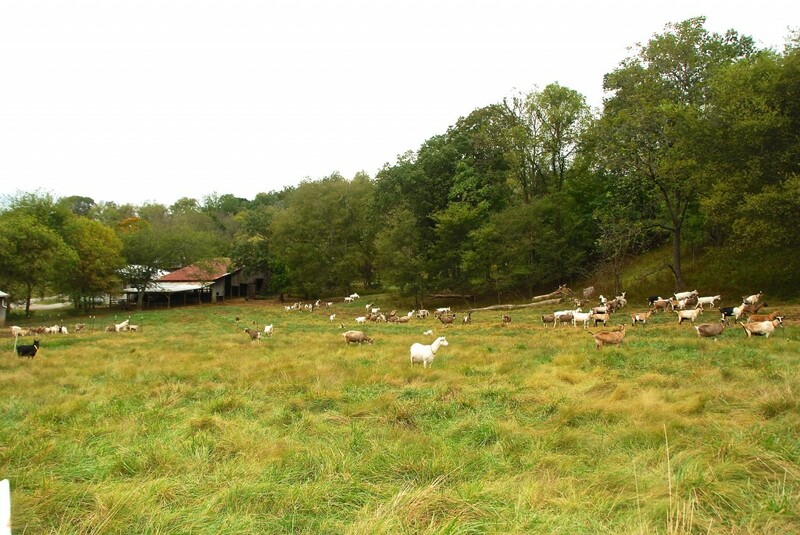 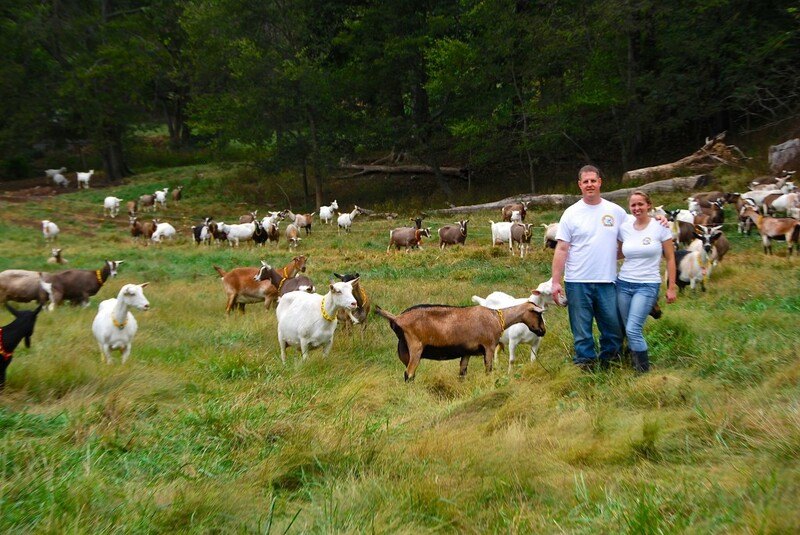 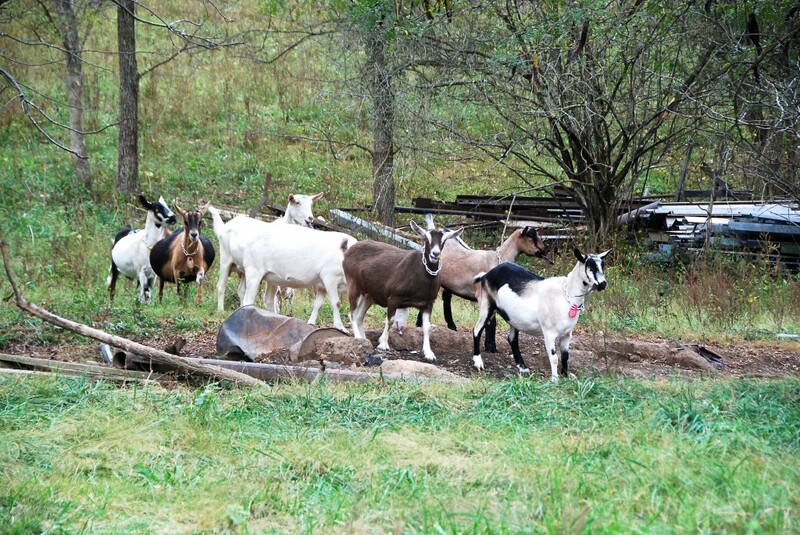 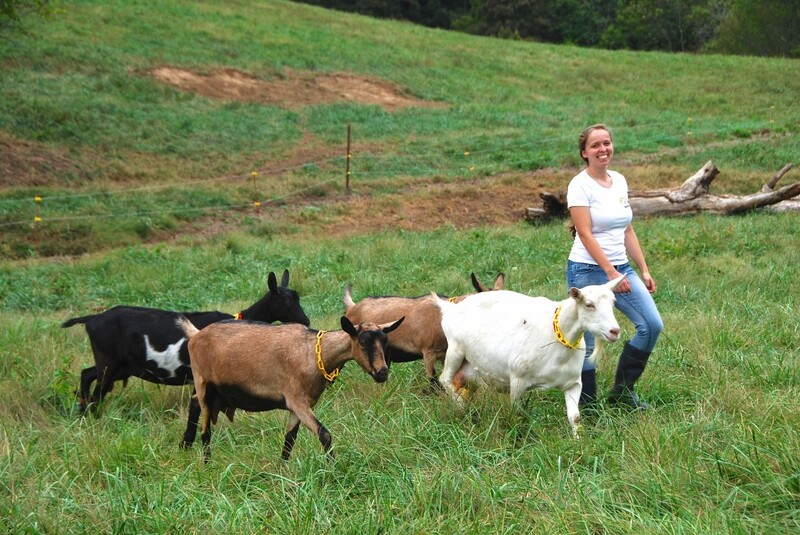 At Noble Springs Dairy, we produce a variety of all natural farmstead goat milk products. 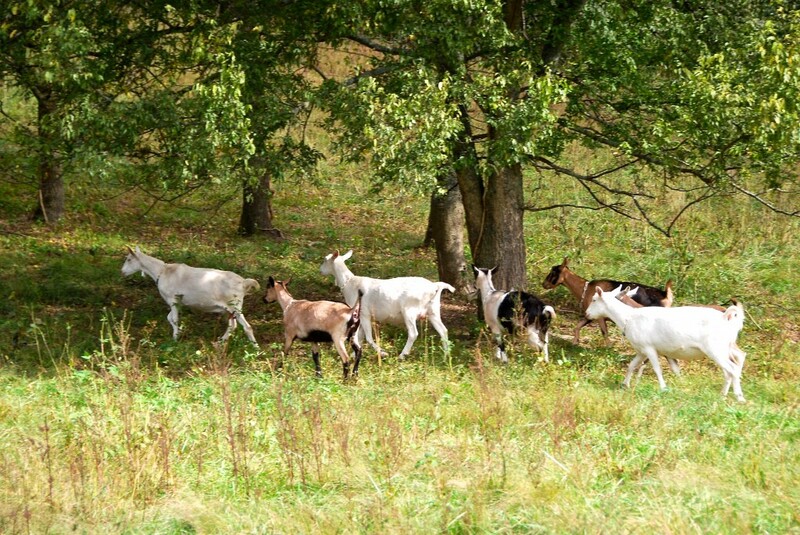 Our goats are allowed to browse on our rolling pastures at their leisure. 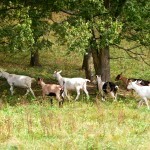 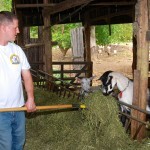 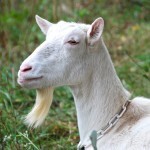 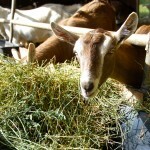 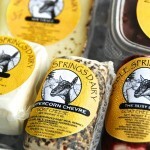 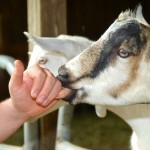 Our goat cheeses have a distinctive flavor that is due to the forage based diet and special care our animals’ receive. 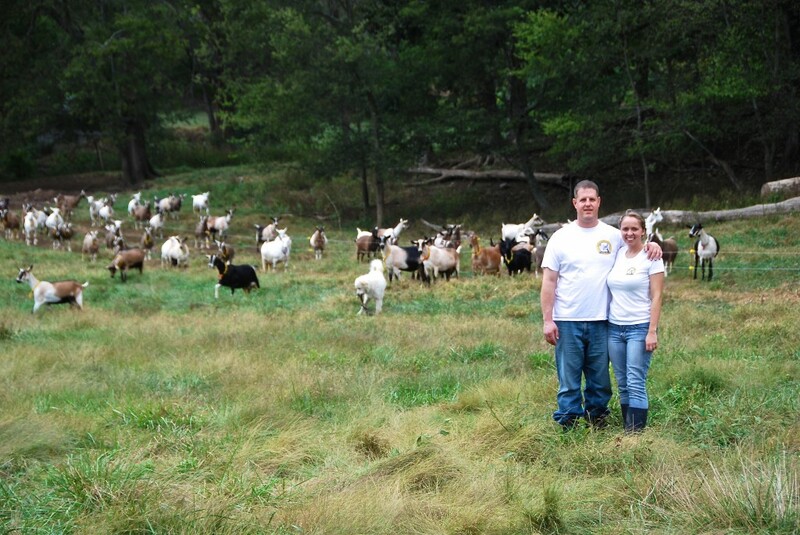 Here at Noble Springs Dairy, Dustin and Justyne have over 50 combined years of experience in providing exceptional care to dairy goats. 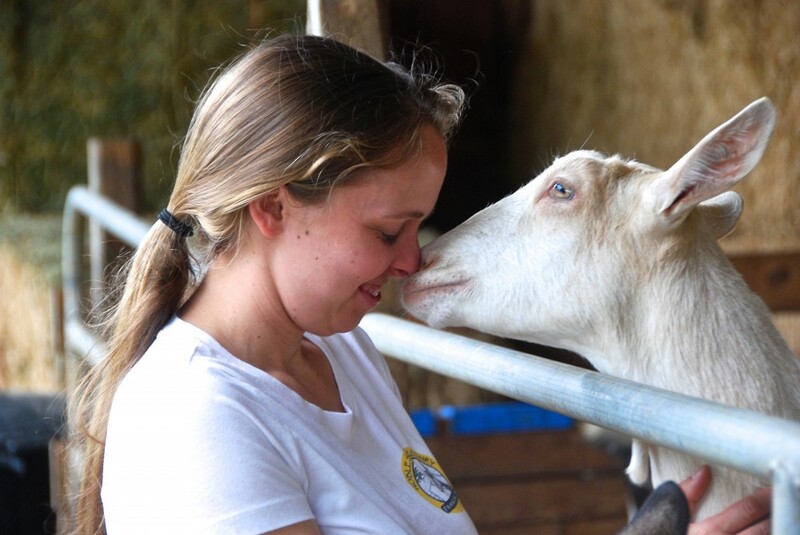 Quality milk comes from healthy, happy animals. 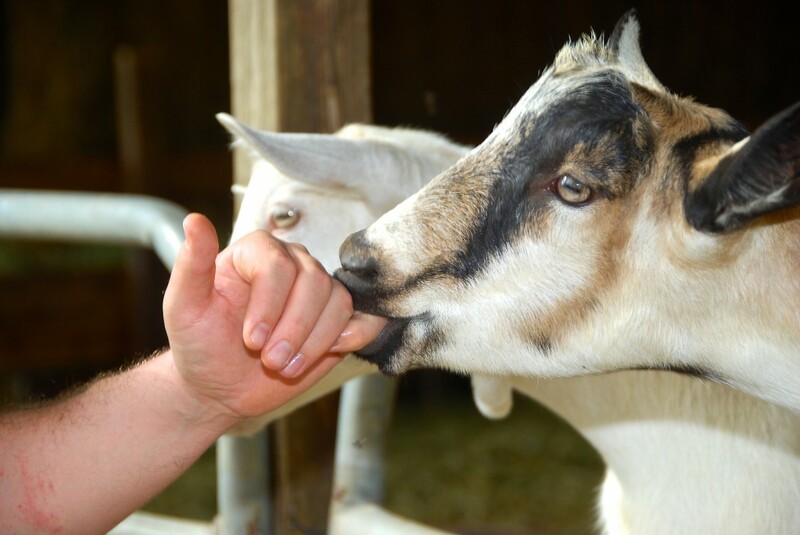 Our high-quality goat milk is the most important ingredient in our goat cheese making process. 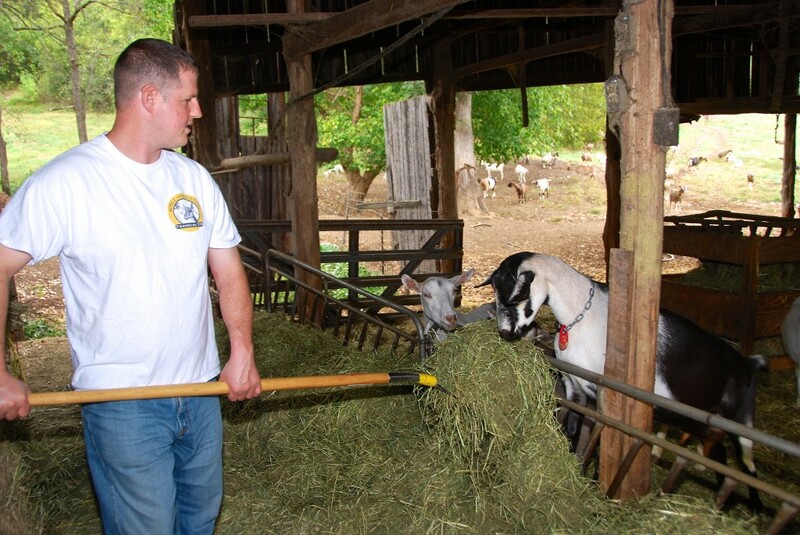 All of our goat products are handmade at our farm, in our creamery, by us and from only the milk our goats produce. 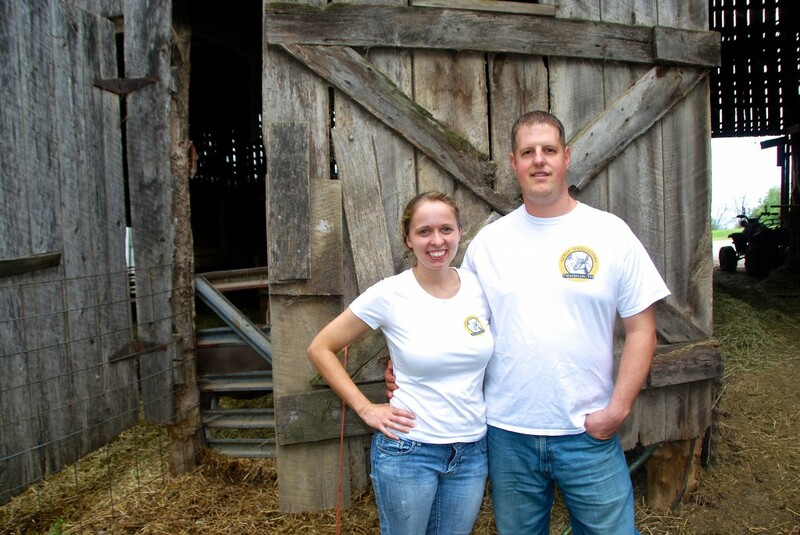 We gently pasteurize our milk in a small vat pasteurizer, this allows us to pasteurize our milk at 145 degrees. 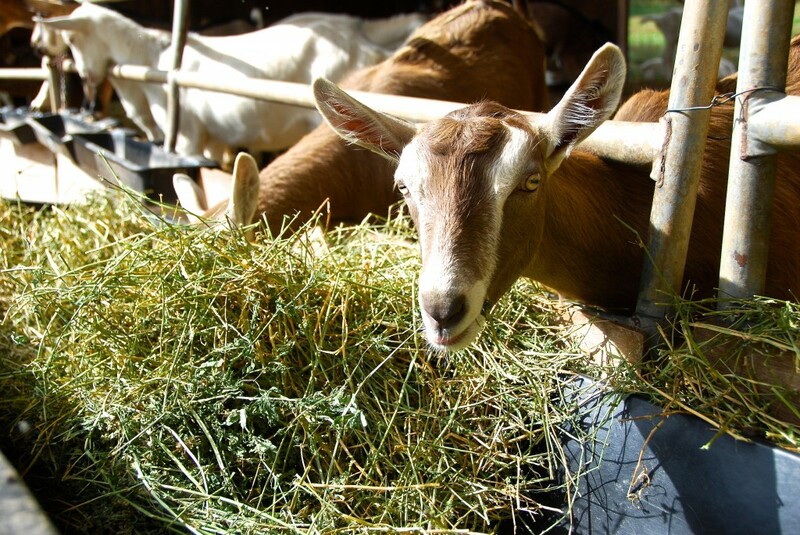 Our goat milk is never mechanically homogenized. 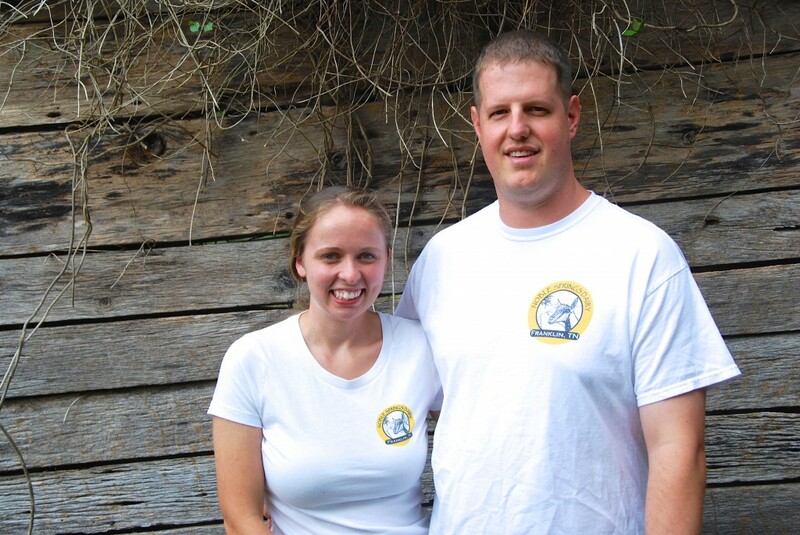 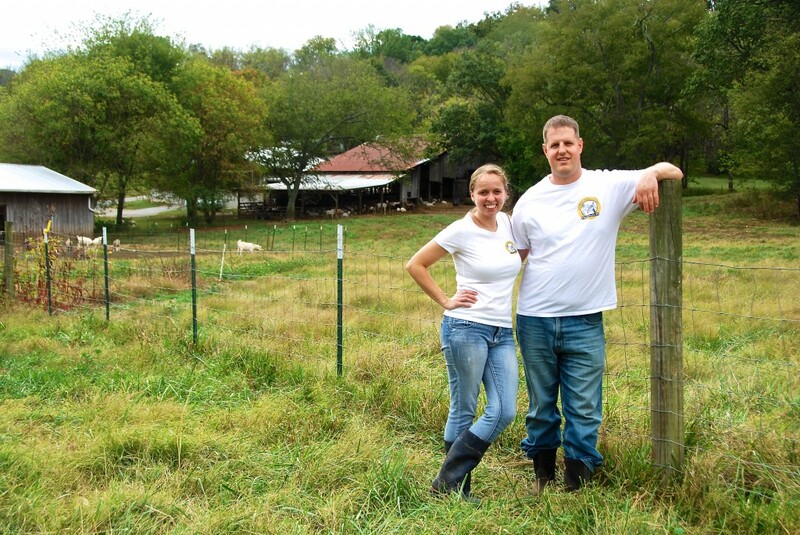 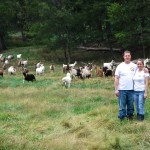 The goats at Noble Springs Dairy not only provide the wonderful milk and cheeses, they are responsible for bringing Dustin and Justyne together. 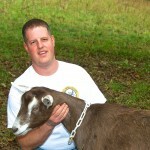 Dustin Noble grew up in Williamson County. 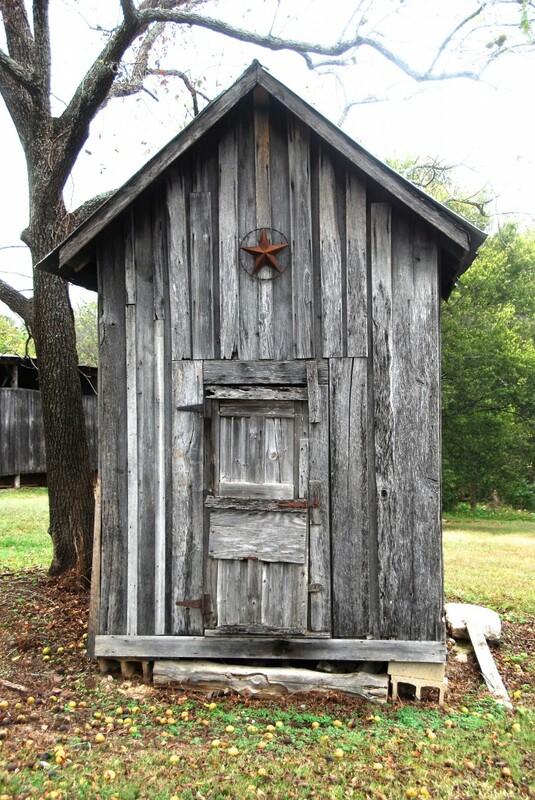 His family owned and managed Traveler's Rest Motel and Noble's Restaurant in Brentwood beginning in 1917. 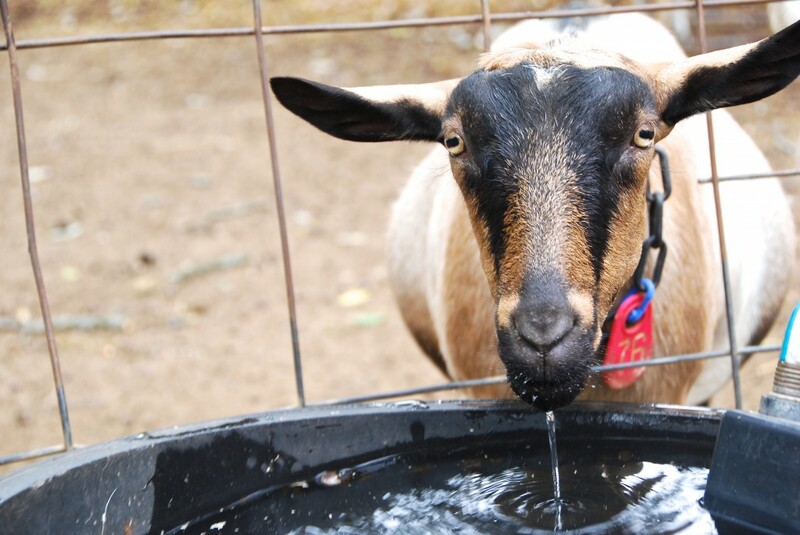 When Dustin was a little boy, he and his brother were allergic to cow milk dairy products. 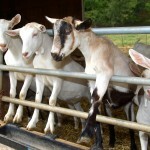 A family friend suggested to their parents to have them try goat milk. 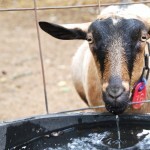 The family borrowed two goats for a fresh milk supply. 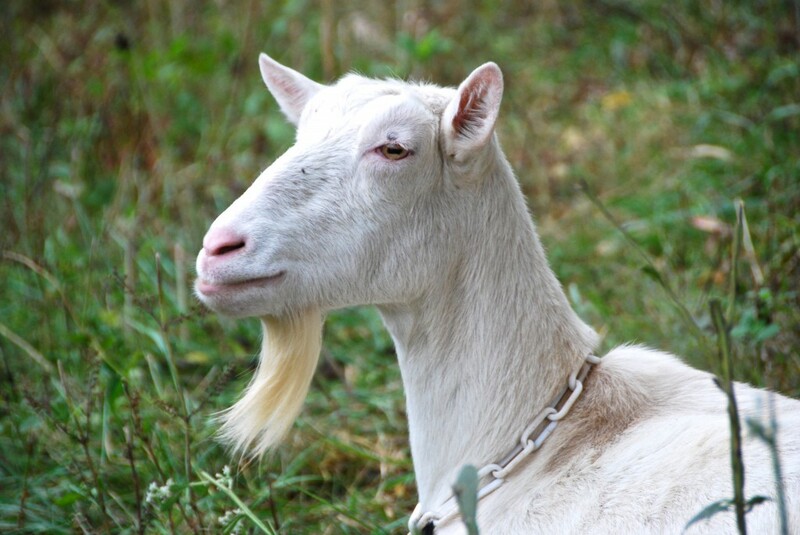 So in 1982, Dustin’s journey with goats began. 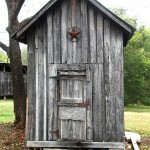 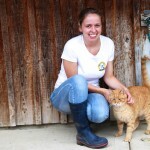 Justyne grew up on a farm in the small town of Tonganoxie, Kansas. 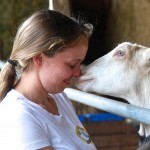 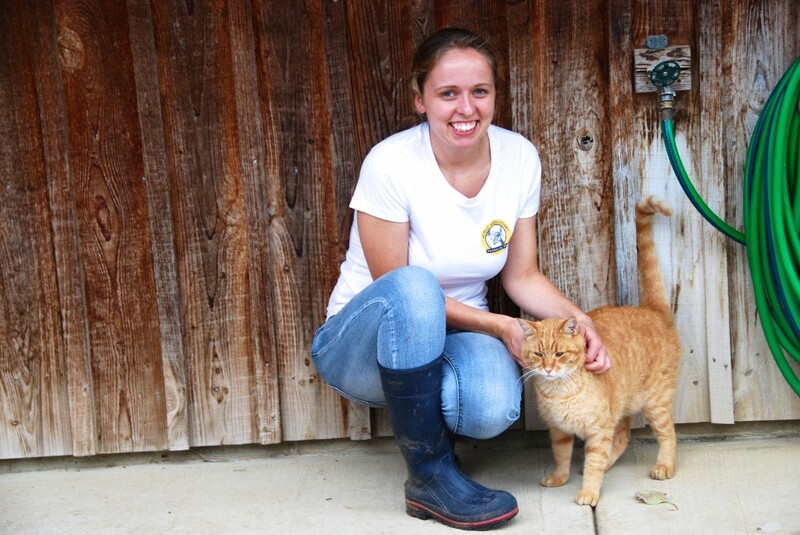 She had always had a love for animals and enjoyed caring for the various animals on their farm. 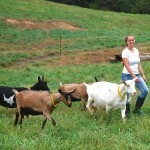 In 1996, her mother got Justyne two Alpine Dairy goats for her to use as her 4-H Project. 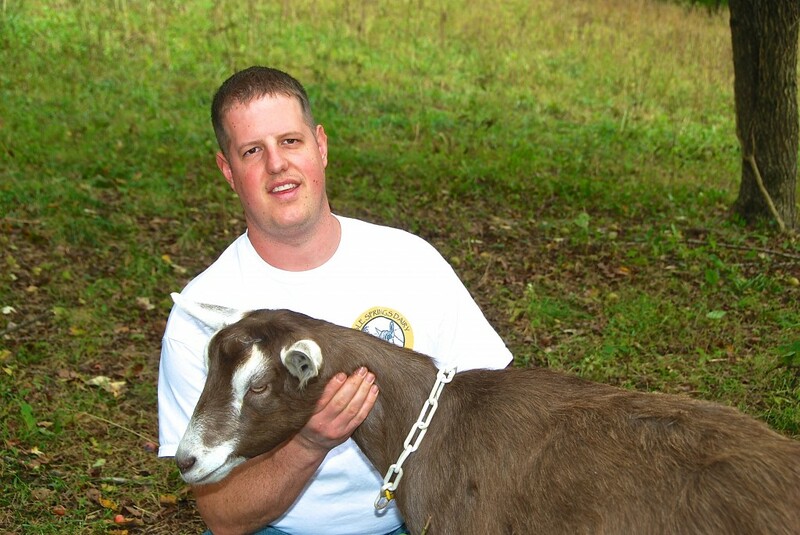 As time went by, Dustin and Justyne began to enjoy working with goats and competing at local and national shows. 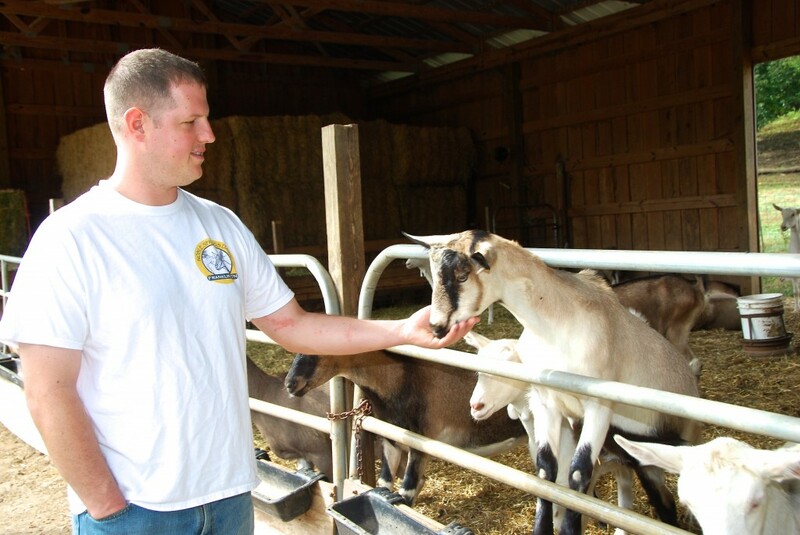 In Des Moines, Iowa at the 2003 American Dairy Goat Association National Show, both Dustin and Justyne happened to be showing their goats and met for the first time. 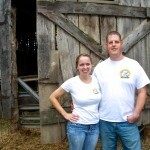 The two exchanged emails and kept in touch. 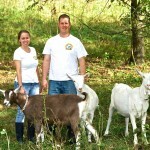 They both realized it doesn’t happen every day that you meet another young person that has the same unique hobby. 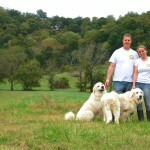 In 2006, Justyne moved to Tennessee and began attending school at Middle Tennessee State University. 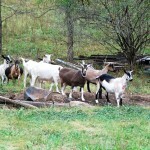 Justyne brought with her five of her Alpines. 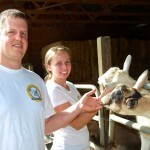 In the winter of 2007, they decided they wanted to do more than just show the animals. 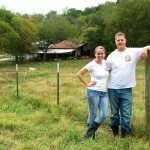 They wanted to construct a Grade A licensed dairy and creamery. 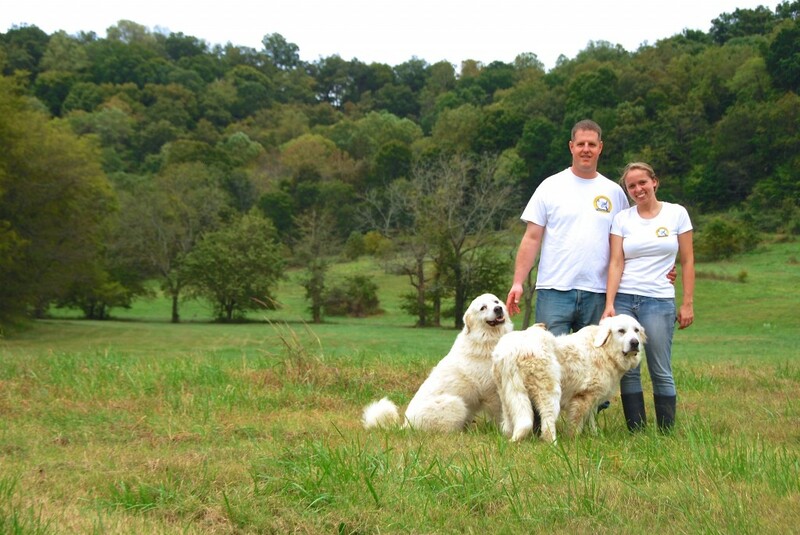 In February 2009, Dustin, Justyne, the 70 goats, 2 Great Pyrenees, their little rat terrier Bubbles, 12 chickens, and their two horses moved to a new farm located in Franklin, TN. 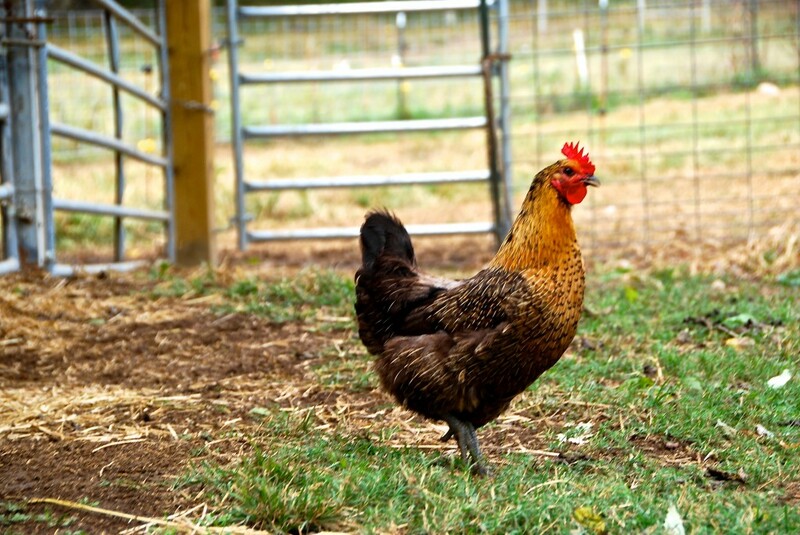 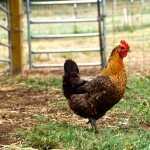 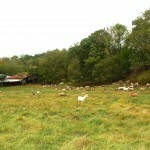 The new location with over 200 acres allowed the animals to have plenty of space to roam and browse the pastures. 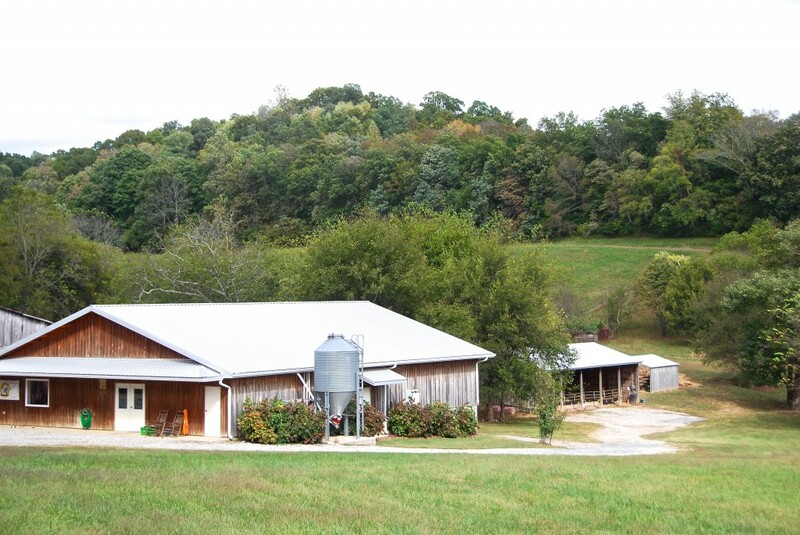 The dairy parlor and processing facility were under construction at this time. 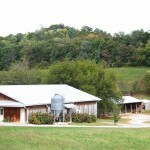 After many struggles and sleepless nights, the building was finally completed in July 2009. 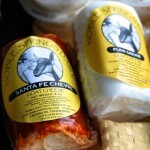 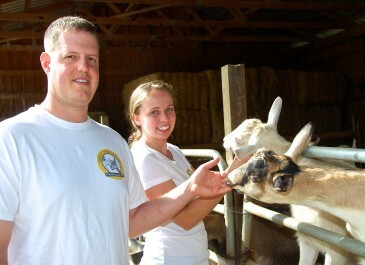 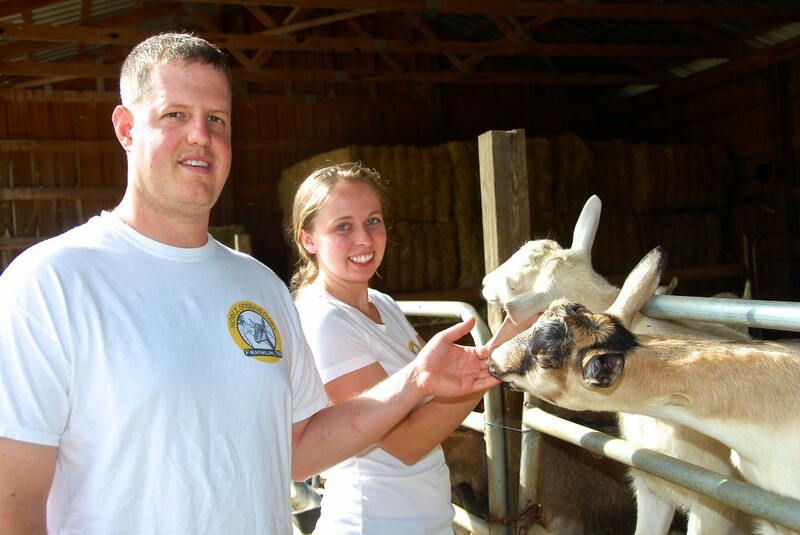 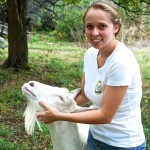 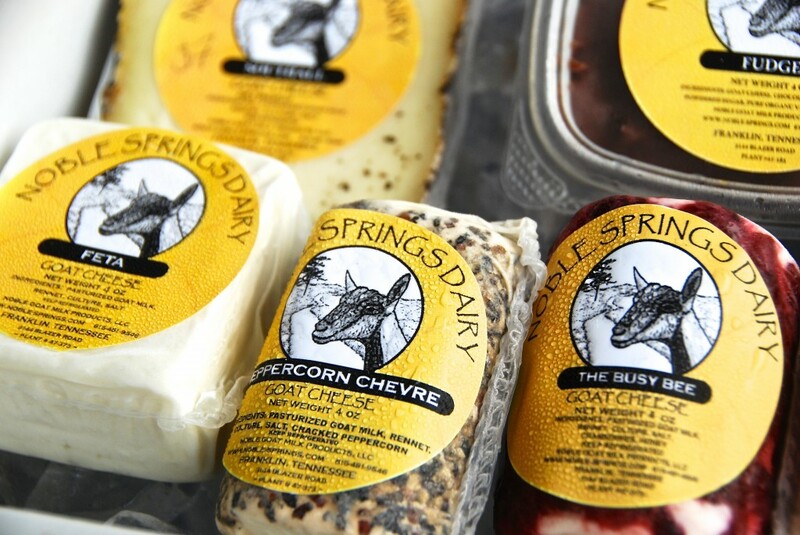 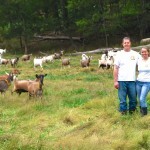 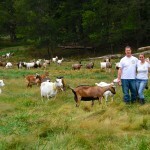 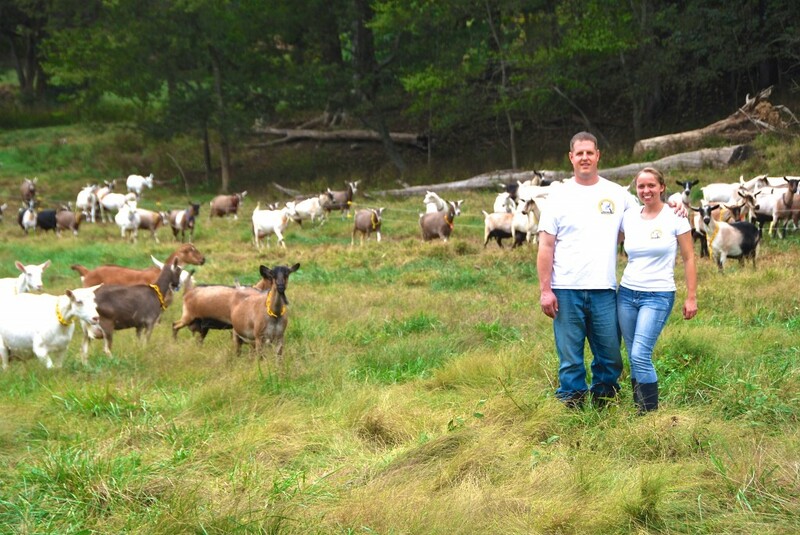 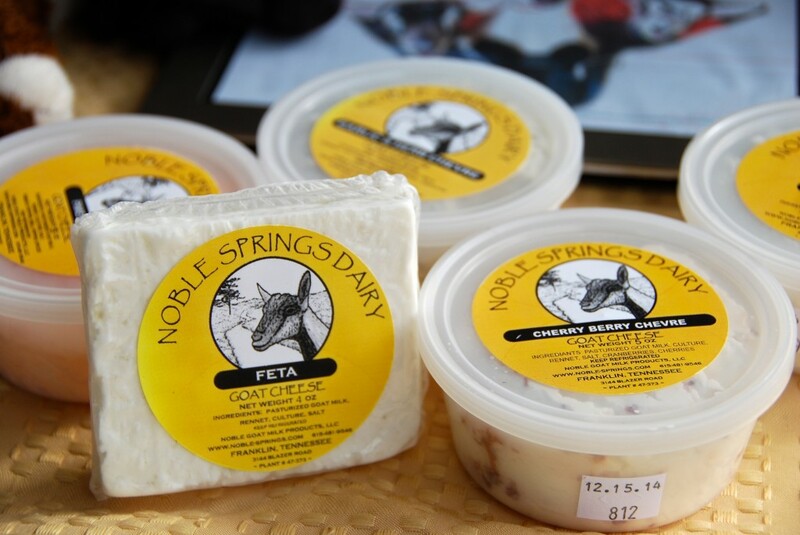 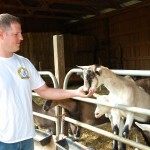 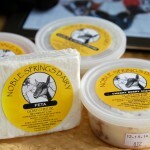 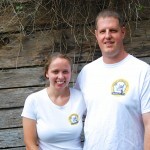 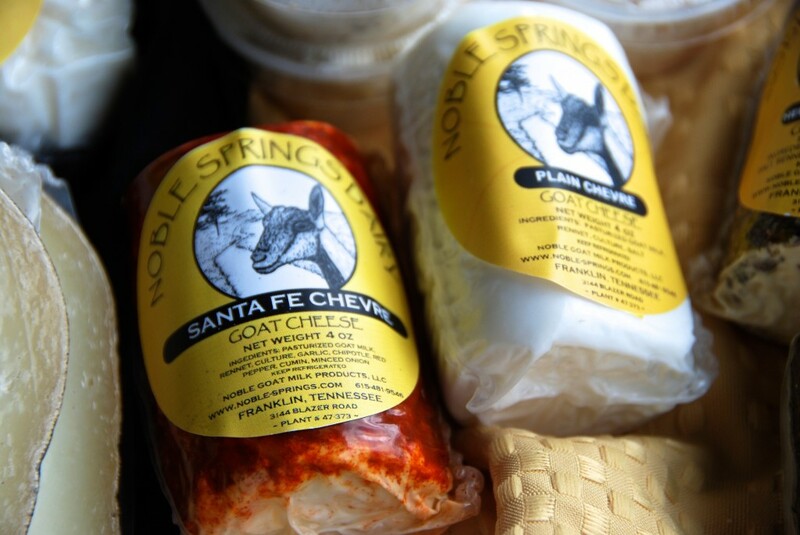 In August 2009, Noble Springs Dairy was finally licensed and began sharing their delicious goat cheeses with the public. 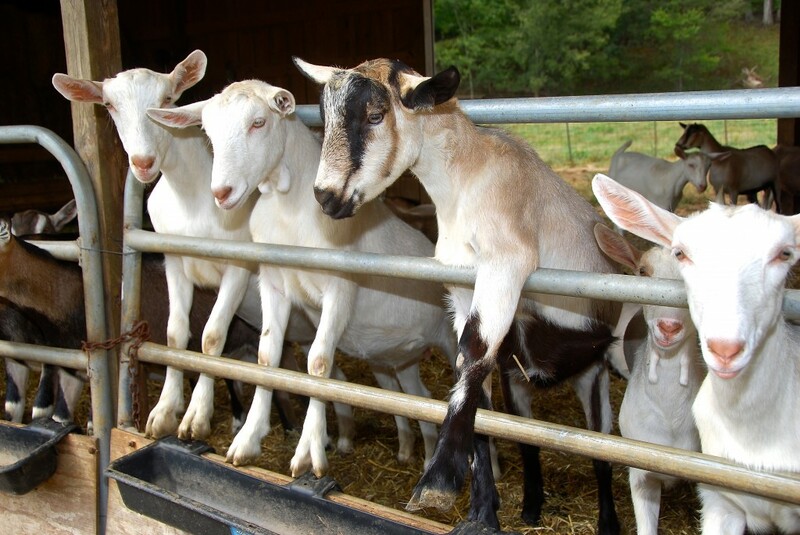 Since we became licensed in 2009, we have created several different types and flavors of our goat cheeses as well as adding fluid goat milk and drinkable goat milk yogurt. 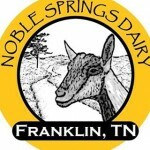 Come visit us at the Franklin Farmers Market and sample some of our Noble Springs Dairy goat cheese any Saturday of the year!